The Who's Drivin' Band will perform during the Lovelady Lovefest Dance on Saturday, Feb. 9. Courtesy Photo. LOVELADY – Entertainment during the 36th annual Lovefest dance, scheduled for Friday, Feb. 9 from 7 p.m. to midnight, will be provided by the Who’s Drivin’ band, a musical ensemble composed of four members, three of which hail from Lovelady. 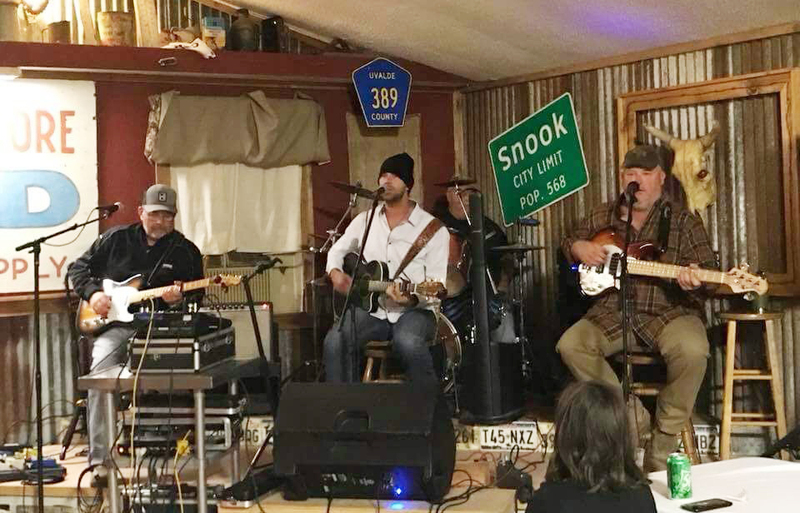 The band consists of Buford Snowden of Apple Springs, bass guitarist Stacy Murray, Johnny Ramirez of Lovelady and rhythm guitarist Jeffery Bankston of Lovelady. According to Bankston, the band primarily covers country music from the 90s, as well as newer Texas country. “We do a little bit of rock, just depending on what the crowd gets into,” he said. Bankston explained that the band, which has been together in its present form for “a couple years,” has a long history. Bankston said Snowden is the one who suggested the group’s newest moniker. Bankston said the group is “very excited” to perform during the dance, an event for which he has provided entertainment for with other bands in addition to Who’s Drivin’. Bankston said this will be the second year to appear at the dance.